Richard Tisei became the broker-owner of Northrup Associates in 2000, becoming just the third owner of the firm that was originally founded by Norm Northrup in 1952. Richard first joined the office in 1992 as a salesperson. As broker-owner, Richard has continued the long standing tradition of promoting strong ethics and maintaining the high level of personal service that has made Northrup Associates so successful over the years. 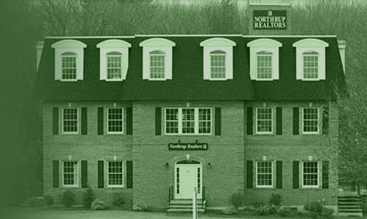 Under his direction, Northrup Associates has grown into one of the largest independently owned real estate offices in the North Shore region. Richard has been active in a number of Realtor® organizations. He is Past President of the Eastern Middlesex Association of Realtors®, an organization consisting of more than 1,200 members. In July of 2009, Richard was named Realtor® of the Year by EMAR. The purposed of the award is to recognize one outstanding member who has made a significant contribution to the advancement of the real estate profession and the community at large. He also serves as a member of the Professional Standards Committee of the North Shore Association of Realtors®. On the state level, he serves as a member of the Board of Directors of the Massachusetts Association of Realtors®. In addition to his real estate career, Richard has served the community and region as a state lawmaker. He served in the House of Representatives from 1985-1990 representing the Towns of Lynnfield and Wakefield. He was elected to the Senate in 1990 where he served as Senate Minority Leader. He represented the communities of Lynnfield, Malden, Melrose, Reading, Stoneham and Wakefield. We could not have chosen anyone or any company more qualified and more committed to customer service and integrity. We have enjoyed working with you and wish to thank you for all your help and expertise. Wherever we go in the future, Northrup will always be our real estate broker. We had a bad experience with a realtor before we called Northrup and had really lost faith in the profession. However once you took over you proved that there are good people in that business and showed us how a real professional does the job. Not only did you sell our house, you helped us through the transition. It was a very emotional time for us since the house meant so much to us, and you helped us over the hurdles. Your kindness and hard work have not been forgotten.